Warning: super cute picture overload today! Since Raley was 6 months old, Danielle from Elles Photography has been our one and only photographer. She always does such an amazing job and she takes my crazy ideas and runs with them. Last year Danielle had the great idea to do a Charlotte’s Web inspired photo shoot and asked if I minded if she took some pictures of my girls. (Duh, of course I don’t mind!) She has the best eye for photo spots around town so she took us out to this beautiful field to get these vintage country shots. I’m excited to get to share them today! Take a look! These sweet little rustic lace dresses are by Mrs. Dazzle on Etsy. Audrey is wearing a 1 and Raley is wearing a 3. (They both still fit them and they are 2 and 4 now so they run a tad big) They have worn these so many times since we had these photos taken so we have definitely got our money’s worth out of them. If you’re in the North Alabama area and need a photographer, give Elles Photography Studios a call! 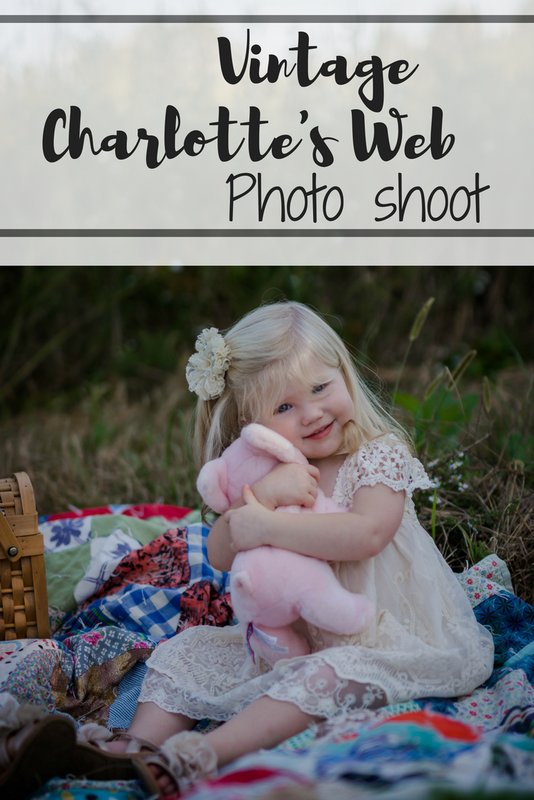 She is actually doing Charlotte’s Web mini sessions June 30 and has a few spots left, so be sure and contact her if you want to take advantage of this unique offer!